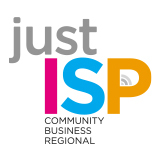 Do you absolutely love Just ISP’s services and know someone else who will love them too? We want to give you the opportunity to invite your friends to see just how good our service is for themselves. To make it even better, you’ll be rewarded for your support too! All your friend has to do is quote your customer name or number when ordering and you’ll both get $50. Call 1300 000477 to speak to our sales team today. *Promotion is in the form of a credit applied to the customer’s account. Credit is non-transferable and can’t be redeemed for cash. **Only applies to residential services. This offer is not applicable to any Business Grade Service and does not apply to NBN services. • Once you and your friend have both met the referral conditions below, your respective accounts will be credited with $50 each. You must not be referring friends by sending electronic messages without the recipient’s consent, by cold-calling, or by publishing or distributing any advertisement whatsoever referring to JustISP or our goods and services. o Your friend must provide your customer number when signing-up, when speaking to our sales representative via the telephone. No accounts will be associated to a referrer after this time. • Any credits earned by the referrer and the referee will be applied against the next regular full month invoice post activation of the service. Credits cannot be redeemed for cash under any circumstances. • Credit amount includes GST. • $50 credit will be applied to your account and your friends account on the condition the referral is qualified. This credit is non transferable. • JustISP reserves the right to amend or discontinue this promotion at any time and without any prior notice.